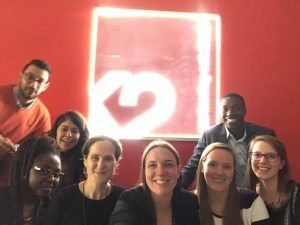 In this blog series, we place the spotlight on K2 employees across the company from management and recruiters to the back office support teams. 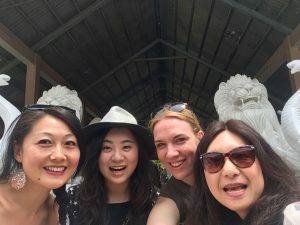 This week we talked to Carole Hosokura – Principle Associate – Japan. 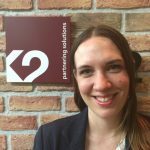 I joined K2 in 2009 as part of the Asia start-up staff in Tokyo. I was inspired by K2’s four pillars: “Excel Through Quality, Create and Embrace Change, Use Knowledge Intelligently, Open and Honest Relationships”, and emphasis on mastering a market and making a career in this field. This differed from anything I had heard from other recruitment companies and it is still a major attraction today. Luckily the company liked me, too, and I got an offer to join. 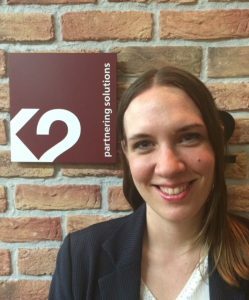 In nearly nine years at K2, I have grown up a lot professionally and personally. Currently, I am in a global sales position. I consult Japanese and International clients on their global IT transformations and implementation projects and we deliver suitable professionals as needed. I especially work in SAP technology. Together with my K2 colleagues around the world, we have placed SAP professionals on Japanese client projects in China, Singapore, Australia, Germany, Italy, France, the United States and Mexico. Mornings are precious for me personally. I start my day early and go for a walk with my dog, Buddy. Then I shower and prepare myself before waking up my children. 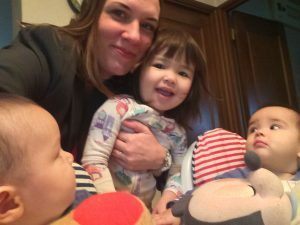 I spend a slow morning with my husband and three young children. This is the foundation of a successful day at work. When I arrive at the office in the morning, I’ll first update the status on any potential placements for the day or week. Then have a meeting with sales and delivery to align on the critical tasks and update on any new opportunities for K2 to deliver. We identify the best business to work on, set goals and approaches, and build excitement for a successful day ahead. Sometimes I do not arrive at the office in the morning. Our office is in central Tokyo and so are most of our clients. Often I will start my day at a client meeting or onboarding for a K2 contractor joining a new project. In that case, I will communicate the above to the team by email and follow up with small catch-ups when I am back in the office. I’m a salesperson, so closing the deal is certainly a highlight, but more than that, is the consulting process. I get a lot of pleasure from identifying a client pain point and providing a solution. My other great pleasure, which is quite unique to K2, is the interaction with colleagues and consultants around the world. I enjoy talking to various people: colleagues, clients and consultants, and learning more about other markets. At the end of the day, I try to reflect on what was done and what still needs to be achieved to hit various goals for the week or month. If I am working on any projects with a colleague, I will check in to see where they are so we are surely aligned. In a global sales roles, the end of the day in Japan is the beginning of the same day somewhere else, so I am often on calls with people in other offices and checking anything they can do while I’m sleeping or anything they need from me in my morning. After that is wrapped up, I am often found having a light meal and a few drinks with friends or colleagues or even clients or consultants. On the nights I don’t go out, I will usually go home with intention of house cleaning or exercise but end up binge-watching Netflix or getting lost in blogs and articles online. I’ve learned so much and I’m still learning every day. It’s hard to identify the most important, but perhaps the most valuable for my life and future is to be open to the possibility and to make it happen. I’ve always been quite pragmatic. In K2, I am working with so many dynamic people thinking outside the box and trying something new every day. So many things that seem impractical have become our great successes as a business and set us apart from other companies. It is important to stay open. Also things that were practical or successful before may not be anymore as the market and the people change. I need to remind myself to be open and a little impractical and make it happen! #10281 on the list of things I am learning at K2!